GCell comes with a versatile integral connection terminal that is thin and flexible. It has a minimum bend radius of 2mm. 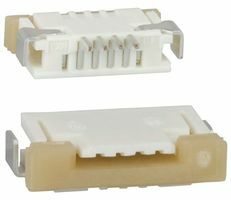 The integral flexible connector is suitable for use with the Molex FPC connector 52207-1260.